These have now been identified as a wild type helleri strain...probably from Belize. These are a nice departure from the gaudy colors of most domesticated strains. 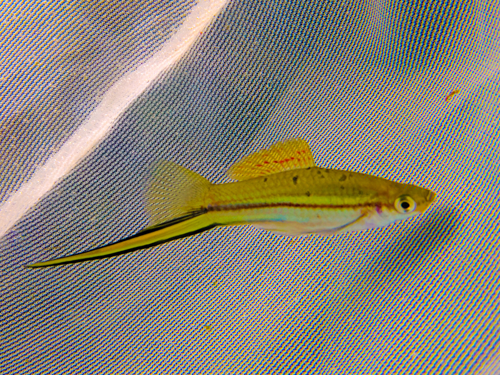 Mine are kept in the mid-70's F and, in true swordtail fashion, they are eating everything...flakes, pellets, frozen foods, live foods, and Repashy gel foods. These are young adults - adults.